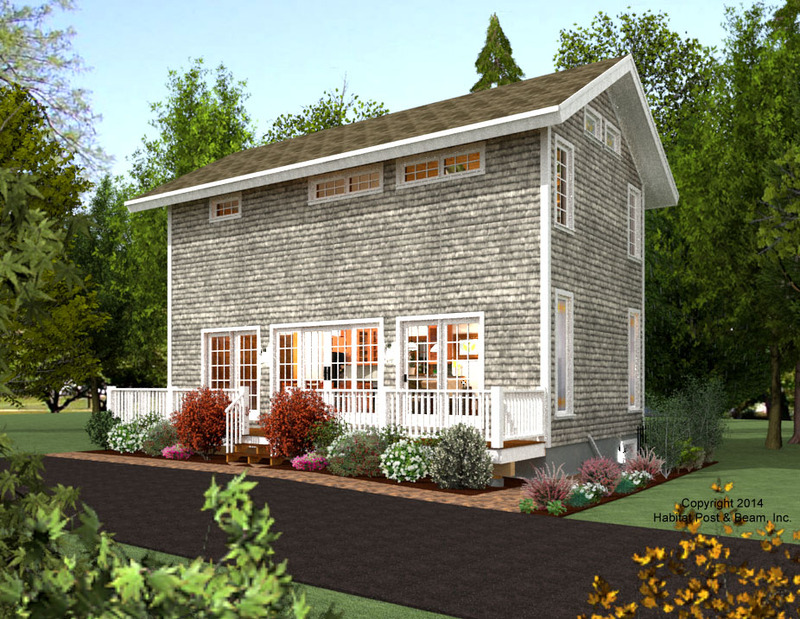 This custom home has a small footprint of only 1200 S.F. 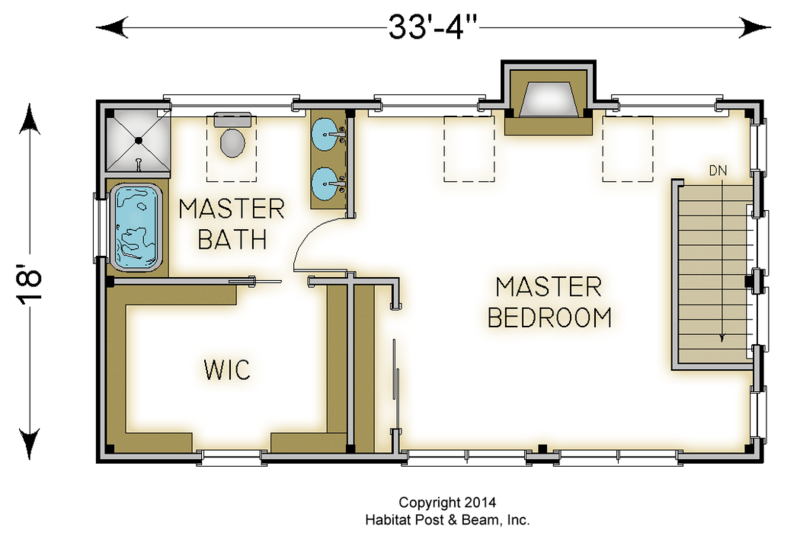 It has an open main level floor plan and an upper level master suite. 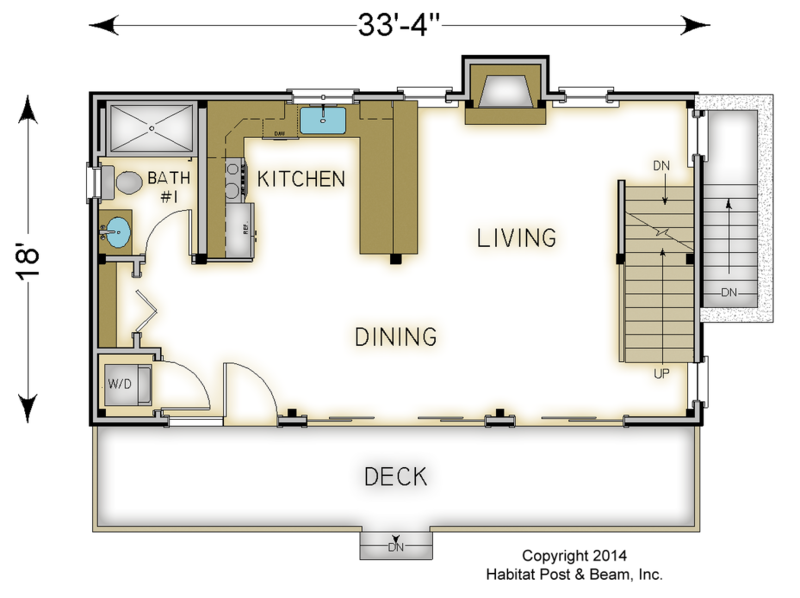 Perfect size and functionality for a vacation or retirement home. Most designs can be adapted to add or remove walkout basements, garages, porches, etc., as desired (framing materials by owner/contractor). 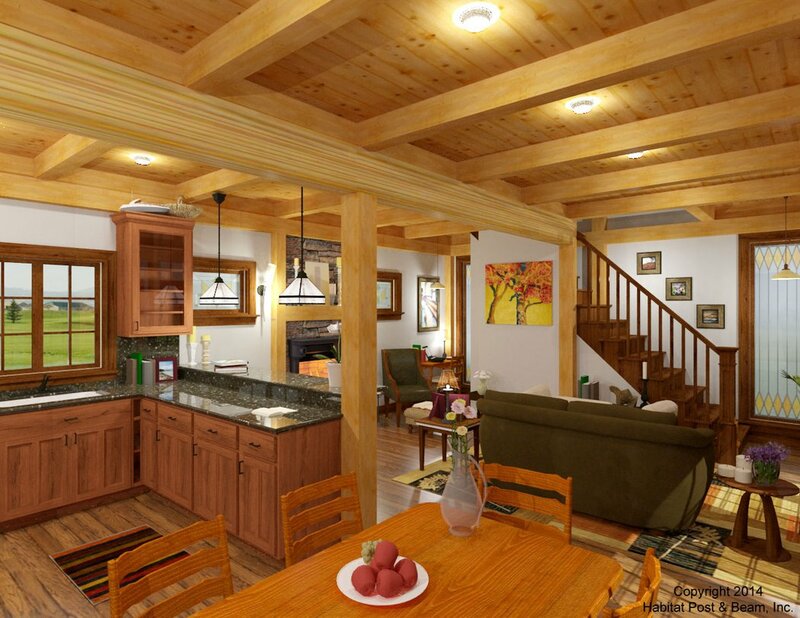 Package Price: $118,500 as specified below (from $100,000 to $120,000 depending on framing options). The standard price includes our Full Exposure Wall System, Plaster and Beam or Beamed Mid-Floor System (same package price), and our Beamed Roof System.